My first job out of college was working at the television station in Qatar, and one of the first things my co-worders told me was “Tayeb Salih used to run this place.” There was a reverence in their voices that I didn’t get because I will admit I had never heard of him. 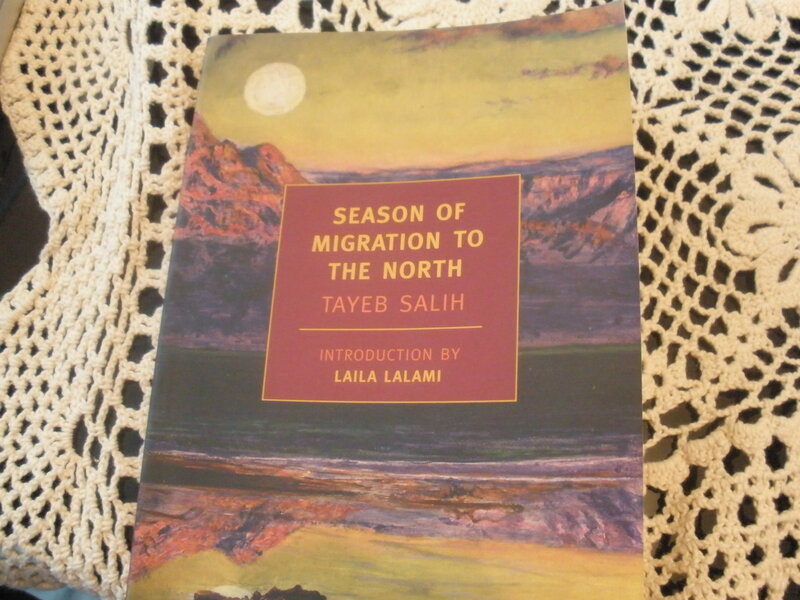 But I learned quickly that Salih is considered to have written the great Arab novel, “Season of Migration to the North,” and it took having my friend Laila Lalami write the introduction for the recent reprint for me to sit down and read it. I now wish I been paying more attention to the stories about him my co-workers in Qatar used to spin. When I taught ESL at UCLA, one of my favorite students was Hideo Nakata. He was utterly charming, friendly and warm—a guy who you would imagine would appreciate Frank Capra movies. Hideo-san was in fact a director himself. But no sunny Frank Capra. He was—and still is—one of the world’s great horror film directors, almost revitalizing the genre internationally with The Ring. However, every story he told in class, all the advice he offered his classmates on love and happiness, was filled with bright sunshine and optimism, and I would have never guessed at the darker side of his creativity. The next time I would encounter such a sharp contrast of outside appearances and inner workings was last month. But it wasn’t another person. It was a town: Nizwa, Oman. I had been invited to attend a literary conference to talk about my experiences with The Night Counter. Nizwa is too close to Abu Dhabi to fly to, especially as it doesn’t have an airport. Still it’s a five hour drive through pretty much a lot of empty desert, and not something that I would do on my own as I have seen too many of Hideo-style films. So I got my colleague, Jackie, to agree to ride along. The road was just fine. But as my students told me later, it’s Nizwa I should have been worried about. 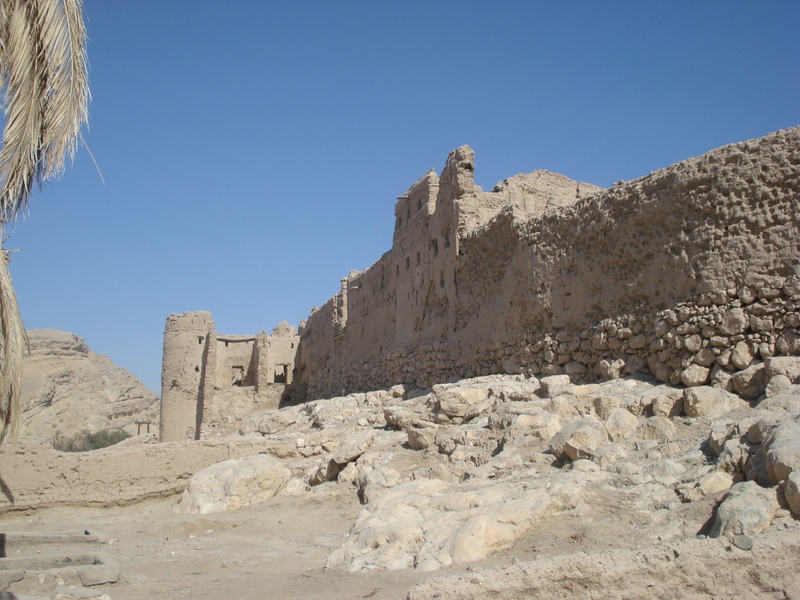 Just a few kilometers before entering Nizwa, we came upon a spectacular fort overlooking an old walled city called Bahla. Almost as if compelled to, I turned the car into its maze of alleys. The streets, old and desolate as its formidable walls, aside from a few Indian men wandering around the closed up shops listlessly. “Let’s just get out of here,” Jackie said and I shrugged agreement. I’d heard expats referr to Nizwa as “historic” and “picturesque” –or “cute,” as was my thought at first glimpse, especially compared to Bahla. Sunny, bright, warm weather and people, even the men wearing the traditionally khanjar around their waist were all smiles. Nizwa’s souq is also built around an old fort, a one-time lookout post against the Portuguese, and a more modern five-star mosque. We paused at one of the souq’s famed silver shops, attracted to a pendant. The jeweler looked to be about 85. Weaving in and around him and the barren room was a boy of about 7 with big, round eyes and a mouth that smiled big but refused to speak. I told the old man that his grandson was very cute. “He’s my son,” he corrected. “This one was born to me late, when I was 40.” Which would make him still in his forties, not his eighties, but he seemed serious in his smile, and so I smiled back, trying to see how many wrinkles I’d have to erase from his face to make him 65, never mind 40-something, and it seemed impossible. Nizwa is a one-souq town, and once you’ve done the souq, there’s not much else to do, so we went to our hotel. The folks at our hotel, and I use the word hotel loosely, were very welcoming. Maybe too welcoming. Perhaps they thought if they smiled hard enough, we wouldn’t notice the Bates Motel qualities of the peeling paint, groaning water pipes, creaking walls, flickering lights, the swaying chandelier and the swimming pool that probably hadn’t been drained since the 1970s. But the front desk staff were no Tony Perkins and so we smiled back. In the evening, attendees of the conference, half of whom hadn’t made it in yet through one bizarre travel story or another, gathered in the dark cavern of the hotel’s restaurant and were served up food labeled as “shawarma,” “biriyani,” and “cheese sandwich,” that were not quite so recognizable. 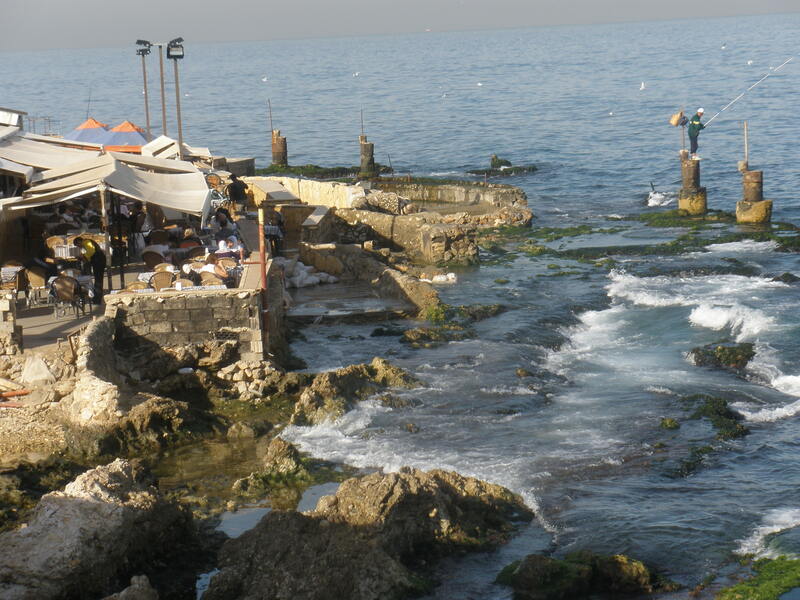 But I kept smiling because so were the waiters, a mix of Arabs and Indians, like the items listed on the menu. Back in the room, exhausted and hungry, I turned on the shower and it attacked me with full force–I had about a minute before the bathroom flooded. Poor Jackie was out of luck, as she couldn’t wade in for her turn, and went to sleep. I stared at the chipped ceiling waiting for sleep to come but it was kept at bay by a variety of noises I kept trying to identify, all punctuated by a woman in loud high heels walking back and forth on the floor above. Then the screaming started, a couple yelling at each other about who was more to be blame for their miserable marriage, seemingly from the room next door. A definite Egyptian dialect, and the kind of language my mother used to slap us for, “bad words” used in the Levant region, but not really in Egypt. In fact, this was the first time I’d ever heard them with an Egyptian accent. And they were loud—Jackie woke and tried banging on the wall with no response and so she tried cursing back American style. After about 20 minutes, the fight went instantly quiet with no resolution. I went back to starring at the ceiling until the sunshine came back. I put on my best presentation clothes and Jackie and I left the room, running into the woman next door. A very refined Lebanese professor. No Egyptian dialect. Turned out she wasn’t married and had no companion of any sort with her. I admired her shoes, which made me look up and remember the lady who’d been walking the floor all night in her high heels. That’s when I saw there was no floor above us. I thought about that when my Power Point didn’t work, when the truckload of abandoned cows at the gas station mooed at us, when I remembered the old man who really wasn’t old, when the Hungry Bunny, Nizwa’s answer to MacDonald’s, served me up a burger that looked like it had been waiting for me since I’d left it on my plate in my elementary school lunch room, and when the keynote speaker listed in the program and heavily promoted by the organizers didn’t show up because it turned out she’d never heard about the conference. When we drove out of Nizwa two days after arriving, the sun was shining and the people were still smiling. And the sun stayed in Nizwa as the rain clouds chased us from the moment we left town, right past Bahla. I drove faster than I had in years to beat the clouds to the border. I wanted the rain to start when I was on the other side, and I won. The rain literally started as soon as we passed the “Welcome to the UAE” sign. And how it rained. But we were home. The next, day as the country was abuzz about the rain, I dragged myself to class. Typical of most students, mine don’t care where I go if it doesn’t involve their assignments or grades. However, this time one asked me why I looked so tired. I was about to tell them about my sleepless nights, but I’d only got the word Nizwa out when they all took in a deep breath. “Nizwa, Miss?” They said. “What were you thinking? We always drive around Nizwa whenever we got to Oman. You should never enter it. Don’t you know it’s where the djinn live? Don’t be fooled. Who do you think inhabits those forts?” Say what you will, it’d explain a lot, sunshine not withstanding. they sometime trivializes a dream. But I’m happy to make resolutions for others, kind of like the UN. Here are my new year’s resolutions for the Middle East, and I know they’re laced with loftiness and high expectations, and they probably need to be broken down into baby steps, but they wouldn’t be new year’s resolutions any other way. 1. People stop smoking like life is a 1950s film noir or a 1970s disco. 2. People put their cigarette buds, candy wrappers and other litter paraphernalia in the trash can they’re leaning on rather than toss it on the sidewalk. 3. Let there be water—not just water to drink and help plants grow, but the kind that doesn’t make your hair fall out in shower. 4. It would be a bit over the top to ask people to follow traffic rules, but maybe they could stop honking incessantly for no apparent reason. And in relation to that, people should resolve to stop triple parking in back of your car when you’re already late for work, forcing you to honk your horn incessantly for an apparent reason. 5. Let falafel, hommos and fuol continue to be affordable for everyone when so much else isn’t—and that they remain the best darn fast food man has invented. 6. People will learn history here didn’t begin with an oil well or Al Qaeda. 7. Crowded out Cuba won’t have to share its place on the TSA’s “terror prone lands” with more than the 13 Middle Eastern countries already joining it. 8. Let electricity outages remind us that technology responds to the human condition it lives in. 9. The word “inshallah” continues to be a satisfactory answer to most questions. 10. The peace wins, inshallah, not just people’s hearts and mind, but also on their streets, litter and all.